After your initial intake and assessment sessions at The PAC Program, your individualized treatment planning will be developed by you and your primary clinician. At this time your personal care will be designed to meet you where you at in regards to the Stages of Change model of treatment. Stages of change or “transtheoretical” model can be designed to assist in changing numerous unwanted behaviors, but since its inception, it has become synonymous with addiction treatment. When an outpatient drug rehab, such as The PAC Program uses the stage of change modality your treatment is designed to meet you where you at in your recovery, which means personalized and individualized and our clinicians use motivational interviewing instead of a confrontational approach. During group therapy and individual sessions with your primary clinician at PAC you will learn the stages of change and how each stage applies to your recovery system. Precontemplation– The earliest stage of change. The individual is unaware of their problem behaviors or is unwilling/uninterested in changing their behavior. Contemplation– The person acknowledges that he or she has a problem and begins to think seriously about solving/dealing with it. Preparation– The person is ready to change in the near future. They are on the verge of taking action and are making plans for what actions to take. Action– The person is actively and overtly trying to modify their behavior. They are implementing all the plans they have been making in the previous stages. Maintenance– The final stage in the change process. The person works on sustaining behavioral changes previously made and relapse prevention. 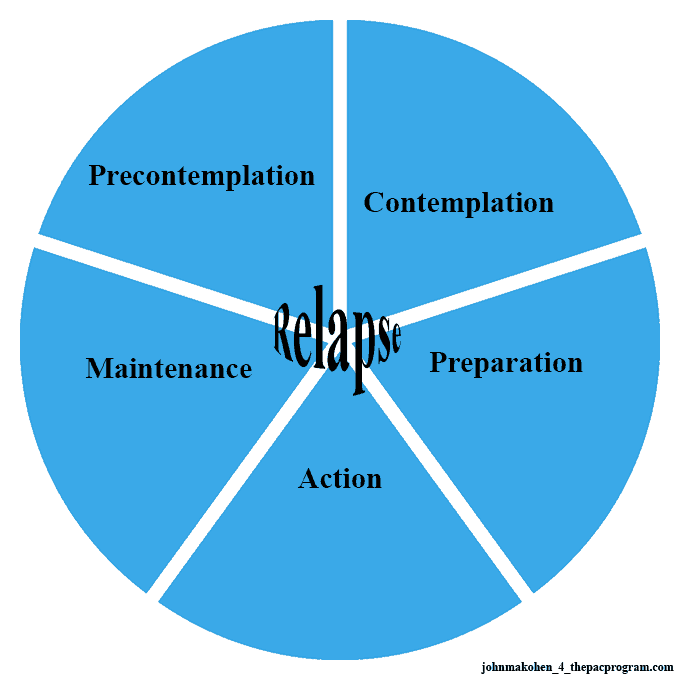 Relapse- First and foremost relapse doesn’t have to be part of your recovery. But it does happen. If you relapse and display old behaviors or patterns, you’ll learn from the experience, grow stronger, and less time is spent in the lapse mode.